Brix Chicks: Barokes "Wine in a Can." Wine not? Barokes "Wine in a Can." Wine not? Disclaimer: I received this wine as a sample from New World Wine Imports. Okay, it is almost summertime and every weekend there is some kind of bbq or picnic or hike involving wine and other spirits. But who wants to lug around those heavy 750Ml bottles of wine? Well, you now have an alternative: Barokes wine in a can, sold in 4 packs and virtually weightless at 250 mL per can. Premium Australian wines in a can. Sounds better than beer, mate. And just think of the convenience...not just in transporting them, but in disposing and recycling. Barokes is now tapping into the American market with four of their varietals: Shiraz, Chardonnay, Blanc de Blanc Sparkler, and a Blanc de Noir Shiraz sparkler. They make a variety of award-winning blends and sparklers not yet available in the US. The Shiraz and Chardonnay are big, bold and fruity with a lot of sweetness and an acidic kick. And yes, they do have an effervesence that only comes from being canned. They also make two actual Sparklers including the Blanc de Noir which is a very robust sparkling Shiraz. These are all bbq-friendly wines. Each comes in at 13% alcohol. Barokes are not yet carried in stores but if you would like to try them go to NewWorldWineImports.com $9.99 for a fourpack. 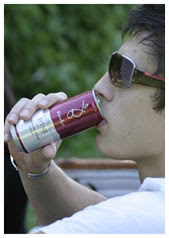 So would you drink wine from a can? I'm not convinced about wine in a can. 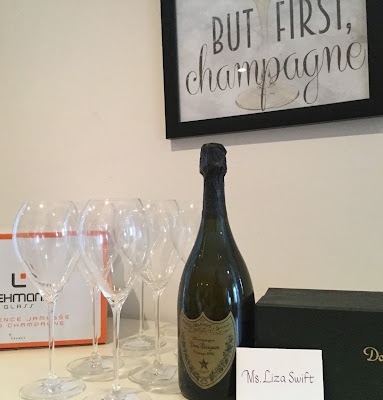 I've had a couple of different brands and styles, including, rioja, S.african chenin (no surprises there), provencal rose and prosecco and I have to say I was not impressed. For now,I'll stick to screwcap - I'd rather lug around something drinkable (something I'd enjoy) rather then potable (something wet)!